For example the accounting department, meeting rooms, entrances and exits are to be recorded image in the office to protect the interests of all parties. Here we let a large bank as an example, overview of how the large enterprise branches remote monitoring the security and operation of office and other companies. - Decide the location that need to install CCTV / burglar alarm. In this example is ATM, vault, all entrances, teller counter and branch lobby. 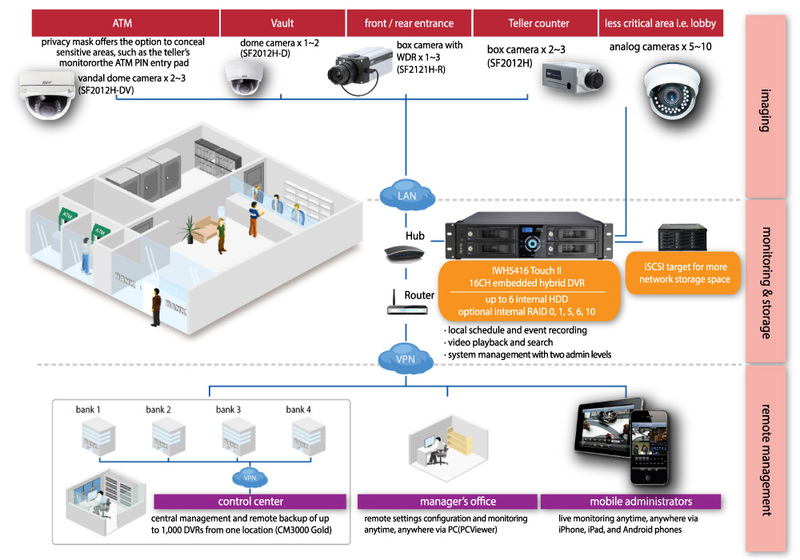 - Each branch has their own computer and its network monitoring and storage of CCTV images. - Authorized persons such as control centers and department head, the device can view images through the different branches of instant case.